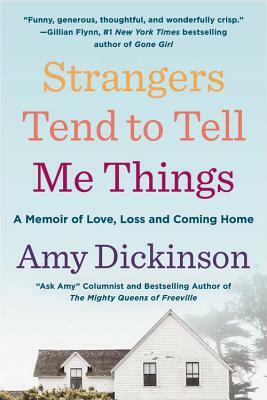 Amy Dickinson is a syndicated advice columnist. She replaced Ann Landers in 2003 and now pens the "Ask Amy" column, which appears in more than 100 newspapers nationwide, including the LA Times, The Chicago Tribune, Newsday, The Boston Herald, the St. Louis Post Dispatch and the Washington Post. She currently lives in Chicago.